The 9th Challenge of the number finding game serries. Find all the numbers in this living room. Analyze your power of observation by finding out the numbers which are in various forms. Look at the pictures and try to find all the numbers that are hidden within the scene. The numbers have various forms. 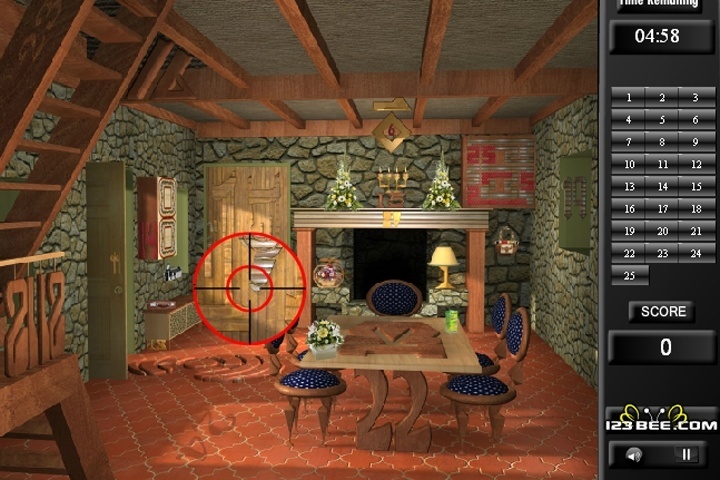 Use mouse to find the numbers in the room and shoot them. For each accurate click, score will get increased and for wrong click, score will get reduced. Try to find out the numbers within given duration. If you want to play Find the Numbers - Challenge 9 games online you have come to the right place! GamesLoon adds new Find the Numbers - Challenge 9 games every week. This is your game portal where you can find the biggest collection of free Find the Numbers - Challenge 9 games online. Do not forget to rate our Find the Numbers - Challenge 9 free online games while playing!